The answer to that question has changed since the days I was working as a sales engineer selling Sniffer Pro and Sniffer Distributed by Network Associates (which was split into McAfee and Network General again, the latter of which is now owned by NetScout). Back in the days of hubs Sniffer had a selling point in providing special network card drivers that could make the capture card accept damaged frames. Which is something “normal” network cards do not do. 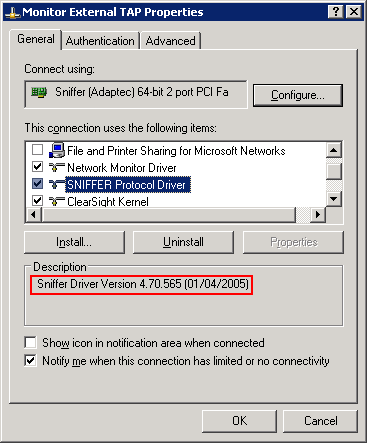 So back then (2003-2005) I usually said “sure, get the Sniffer Pro or Sniffer Distributed, install the special Xircom/Adaptec 620xx drivers, and you can pick up those damaged frames”. Well, today, the story is a little different: Xircom doesn’t exist anymore (they’ve got bought by Intel), and Adaptec doesn’t do network cards any longer (as far as I can tell). Also, who’s going to buy a Sniffer Pro laptop software when there’s Wireshark for free? Anyway, back to the topic of capturing packets with CRC errors. The bad news is: you can’t, unless you’ve got special equipment – a normal PC/MAC won’t do. But the good news is: you don’t need special equipment in most cases anyway because the damaged frames will most likely never make it to the capture device in the first place. The reason for that lies in the way most switches work these days: they wait until the full frame was received on the incoming port before sending it back out on the outgoing port. That mode is called “Store and Forward” and has the advantage of the switch being able to check the Ethernet checksum (also called “Frame Check Sequence” or “FCS”) and avoid sending damaged frames any further. So if there is a damaged frame coming in it will be dropped, and the analyzer will never get it because it doesn’t make it to the cable leading to the capture device. So far, so good. Now let’s assume the frame gets damaged on the outgoing port towards the analyzer but was fine before – guess what? You’ll still not be able to capture it, because as soon as the frame arrives at the network card of your PC/MAC the card will realize that it is damaged and discard it on its own. It will not forward the frame to the operating system, and that means Wireshark (or any other software you run) will never even see it. Which doesn’t matter that much anyway, because if the frame gets damaged only on the last cable towards the analyzer you’d capture something with no relevance to the real network (except for the fact that the switch port seems to be damaged). This is where Sniffer (as well as other commercial sniffers) have/had an advantage, because with its customized drivers it could force the card to pass the damaged frame up to the OS. Which made a lot of sense back when we used hubs in our networks, but not so much today where we use switches. Nothing much to worry about here, either, even if there are a couple or CRC errors, but the switch is running for half a year or more by now, so those numbers are still pretty small. Looks like Wireshark calls the FCS a “Trailer” in this case. In the decode, these bytes are if fact the last four bytes in the frame, Wireshark just shows them as part of the Ethernet header. You can make wireshark interpret the “trailing” bytes as FCS field by enabling the ethernet protocol preference “Assume Packets Have FCS”. that was informative. we have a similar issue, and we need to capture the corrupted frames. The device (cisco) is connected to a switch, and we running span. But the switch is dropping these frames/packets before being forwarded to span. We thought of connecting a PC directly to capture these corrupted frames. But reading this article, i can say, we have no way of reading the corrupted frames. is that the right conclusion? A PC will not be good enough unless it is equipped with a specialized capture card (e.g. Riverbed TurboCAP, Napatech, Fiberblaze). Standard network cards do not help to capture corrupted frames, correct. You’ll also be needing a full duplex TAP to send the damaged frames to the capture card. *Linux, Wireshark, Realtek 8169 with rx-fcs, rx-all option enabled is all you need to capture damaged frames, no need for for any overpriced equipment. Works on ANY PC. Hi Oliver, interesting, I didn’t know that was possible – I’ll have to try that one myself. Thanks! We consider inserting a “TAP” into RGMII interfacce. To do that, we consider splitting those signals and route them to external PHY. One feature we want to create is to being able to capture Error Frames( CRC Errors). If a PHY device gets packets with FCS errors will they forward the Packets or will they drop them. I guess PHYs are no “store and forward”, so I assume they will forward them. Some of the Marvell PHYs count CRC errors to be informative for users but couldn’t found a word whether they will drop the frames or send them further. You did review the Profitap, we think to feed the Profitap. 2. Connect the PHYs to Profitap. Sorry, somehow your comment got caught up in the SPAM queue and it had to rescue it first.